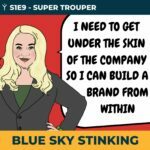 Recruiting people into your team is an exciting time. You’re growing and changing. The organisation needs skills, capacity and fresh ideas and new people is a great way to achieve that. If you’re doing recruitment for the first time or the hundredth time, it’s always good to get advice and a fresh perspective on what is good practice when trying to find that next member of staff. "You can't be awarded a degree in common sense, but everyone should have a degree of it"
Qualifications are one aspect of finding the right people for your organisation and the right individual to fit in with your ethics, style and culture. But what else should you be looking for? How can you prepare to make your recruitment process as good as possible? Where do you go for advice and ideas? Which activities could be getting you into hot water? Donna Negus of Sekoya Specialist Employment Services provides invaluable insights into the risks and potential legal outcomes of poor employment practices. Oliver Watson of Watson Evans Associates provides vital insights into the techniques which makes recruitment process truly effective. On top of that, it’s free. You can listen on our website or on any of the major podcast providers. So if you’re a seasoned podcast listener look for something new, entertaining and useful then subscribe here. 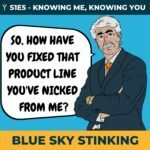 Or maybe you’ve never tried this as a route to good business advice and ideas, give Blue Sky Stinking and listen today.